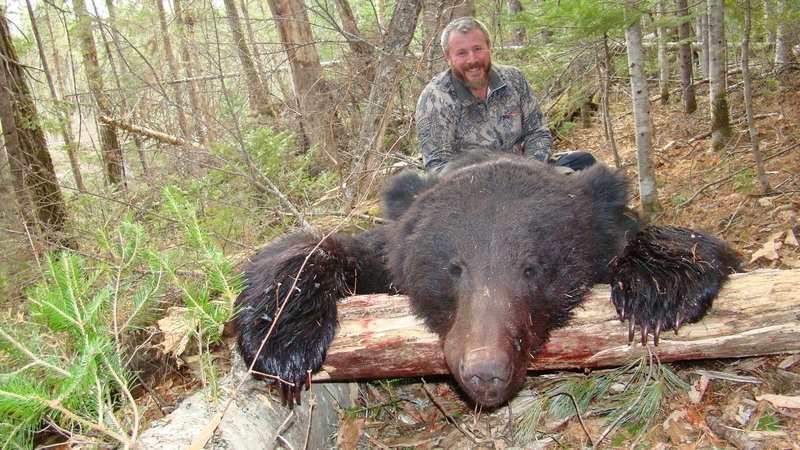 In spring and fall we hunt the bear in high-water bed of Tumnin and Khutu rivers. 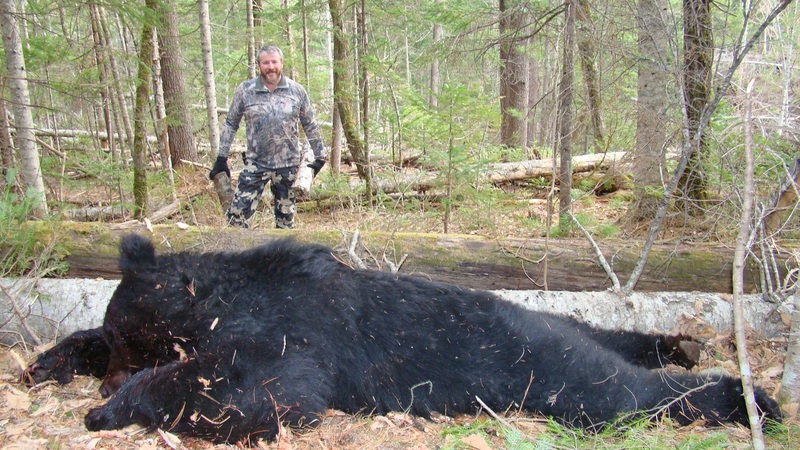 Hunt requires jeep transfers and a hunter should be ready to walk up to 1 mile during the hunt. 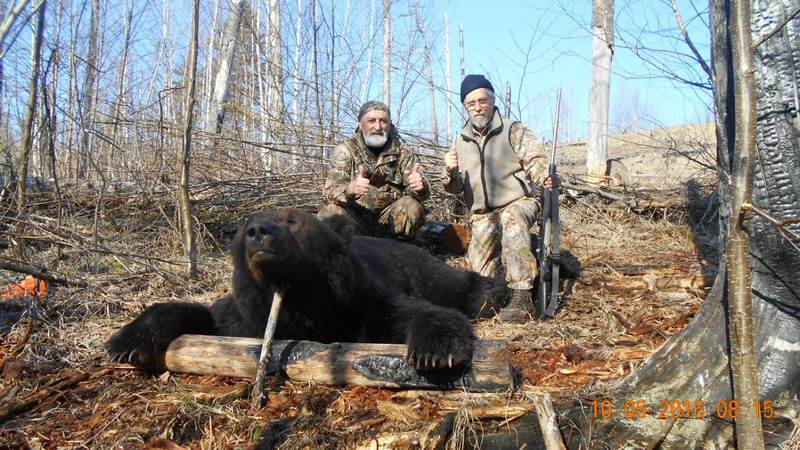 The hunters are transfered from Khabarovsk by jeep, about 14 hours one way trip. The hunters are accommodated in a base camp, in a hunting house equipped with a stove, beds, electricity, outdoor toilet cabin. The hunters will enjoy delicious food in a kitchen room, the cuisine is based on the hunters tastes. After getting a trophy, there is possible to go fishing (taimen, lenok, grayling) with motorboat. 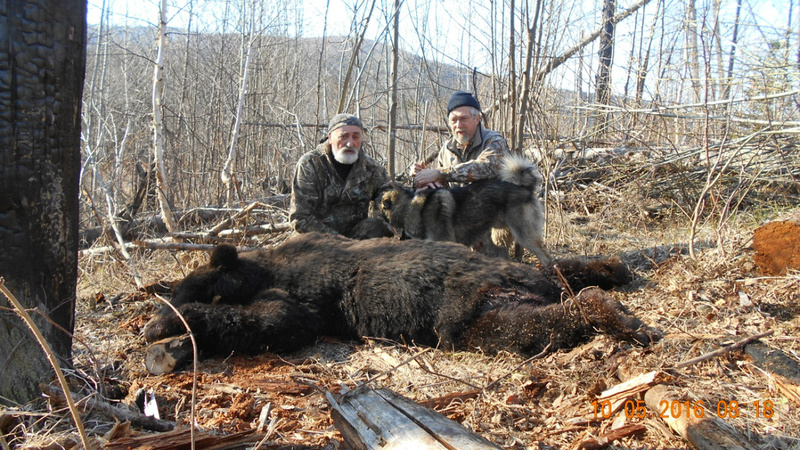 The mothod of hunting in spring is baiting with raw meat. 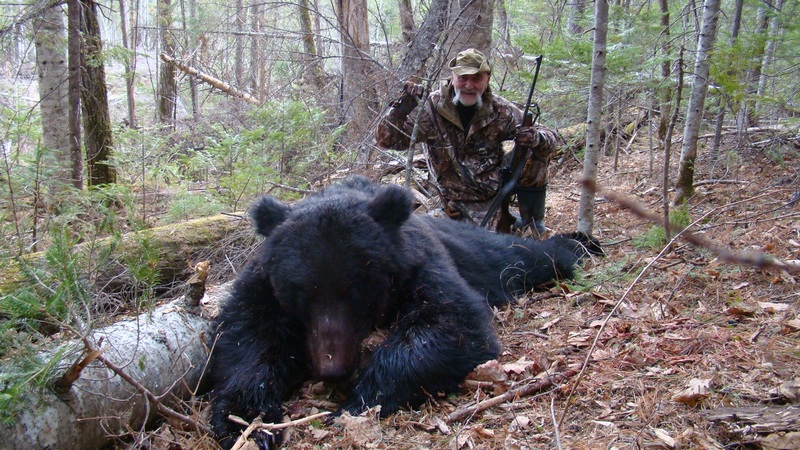 And in fall the method is spot and stalk. 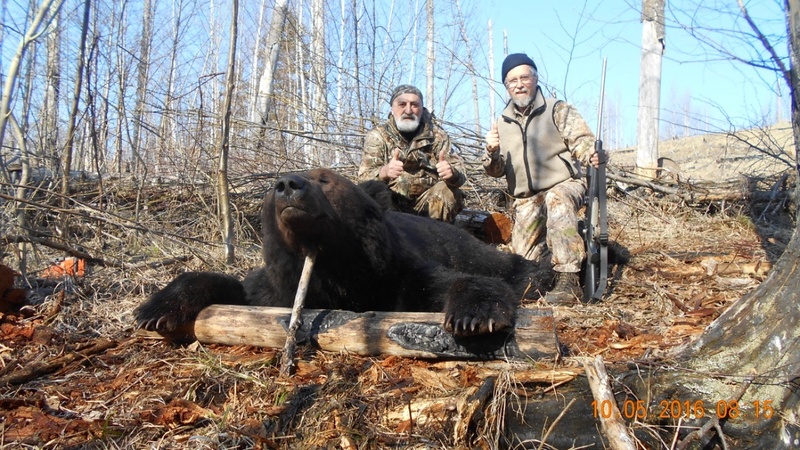 The hunters are accommodated in the well-equipped camp. Prior to the hunt, the hunting guides prepare a taiga lodge and complete the den search. Once the den is found, the hunting guides prepare the paths to it. 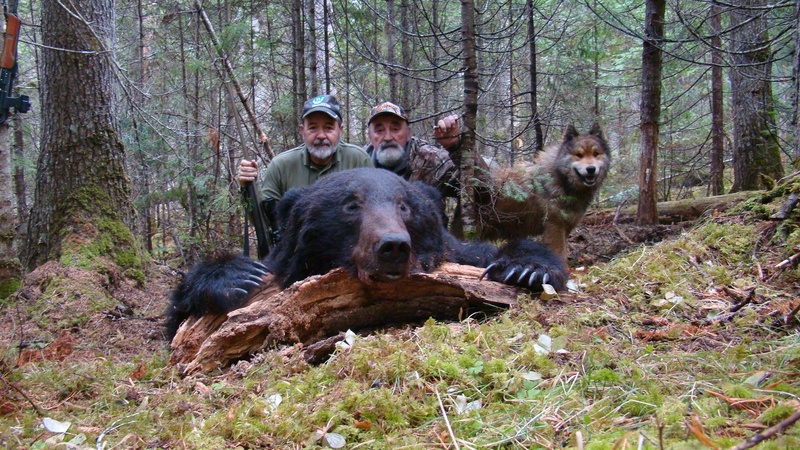 When the hunting group reaches the den during the hunt, the guides wake a Bear up and lure the Bear out of the hollow. 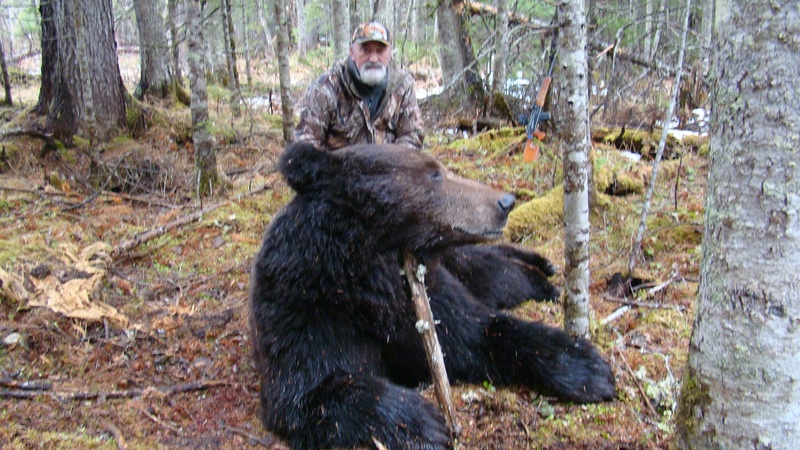 When the Bear gets out of the hollow, a hunter takes a short at the Bear from a distance of 10-15 meters away. 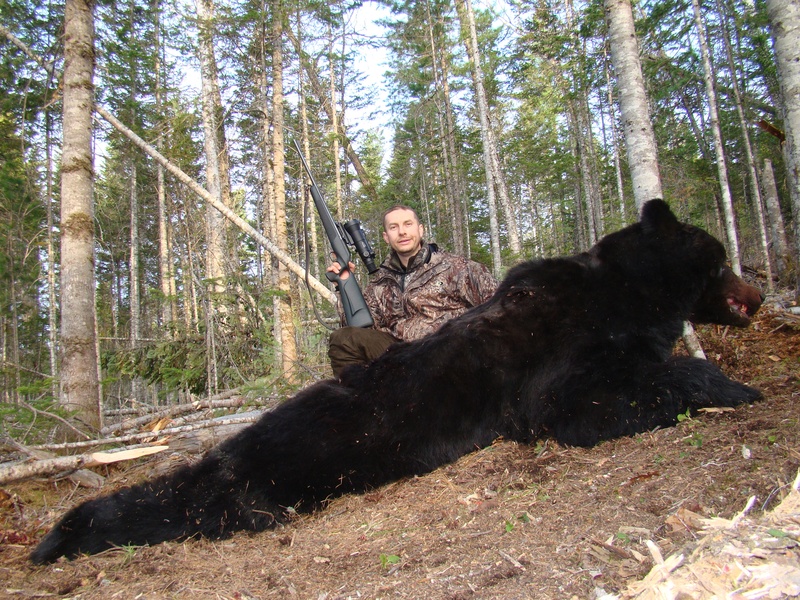 A hunting guide is responsible for bringing a hunter to the trophy animal within a gunshot range (e.g. 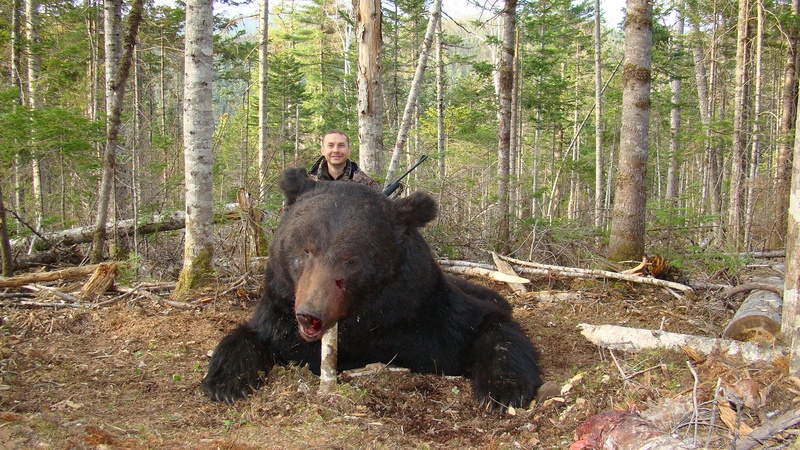 in a Brown Bear stalk hunt an animal should be shot at from a distance of 200 meters or less). 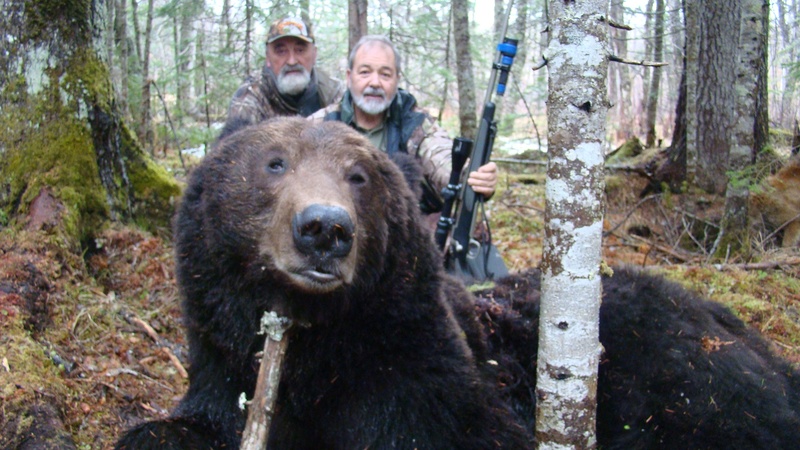 During the hunt the guide handles all safety-related issues. 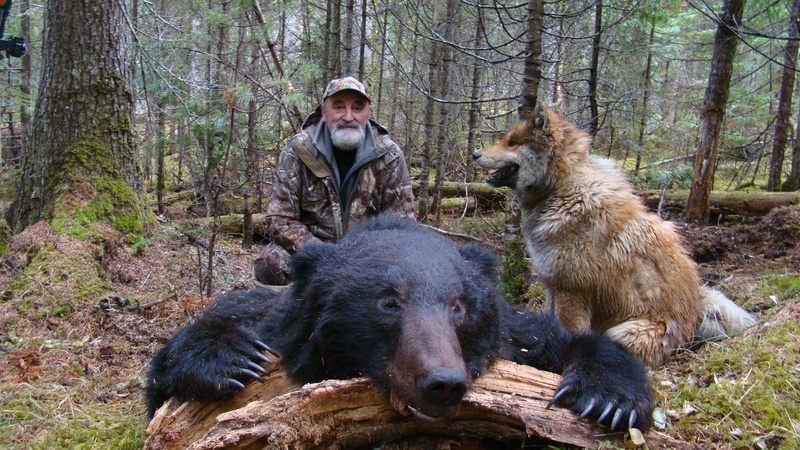 The guide pretreats the trophy according to the hunter’s taste and takes pictures if requested. A guide stays with a hunter throughout the hunt. 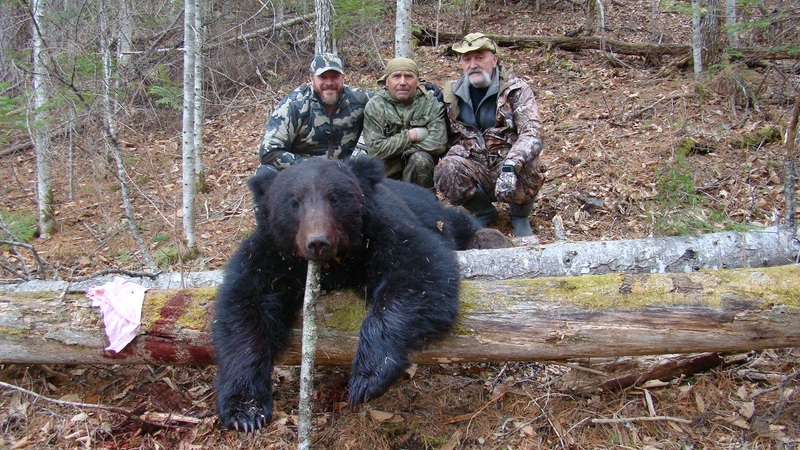 All guides are experienced in facilitating the visiting hunters. 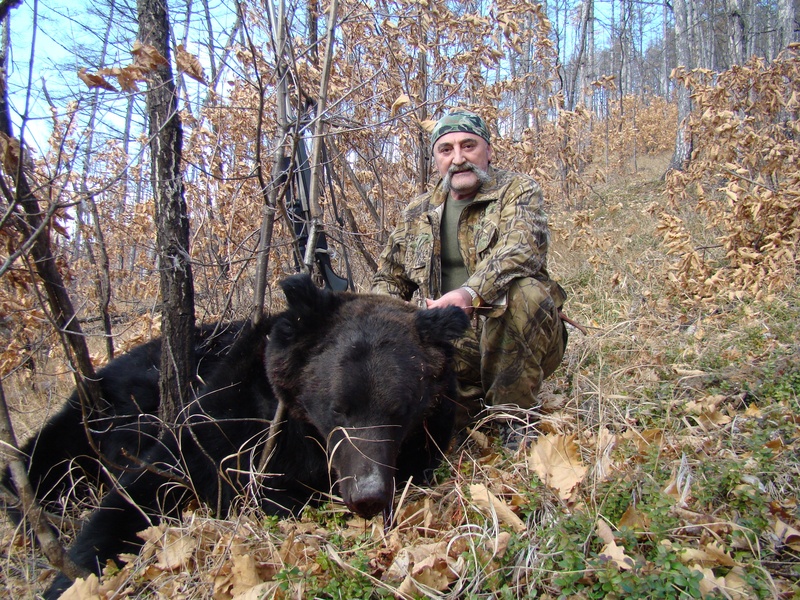 Most of the guides are professional hunters themselves. 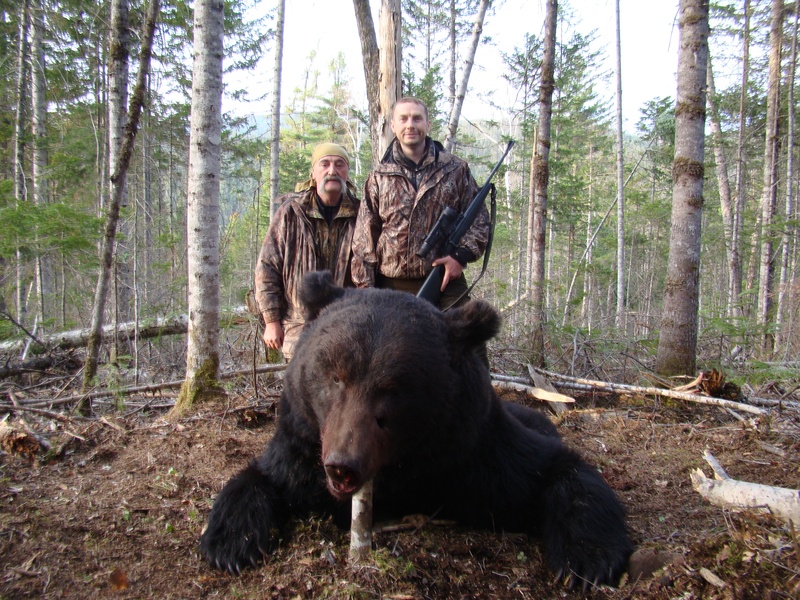 The outfitter/the outfitter representative supervises the hunt, assigns guides to the hunters, schedules the hunt and monitors trophy processing. 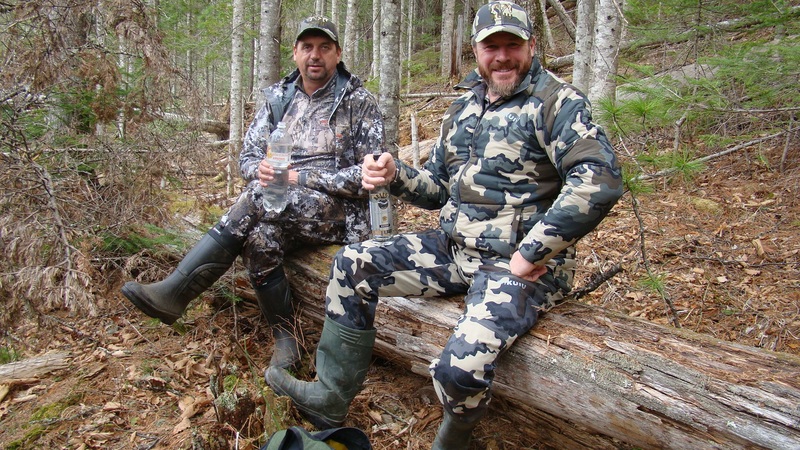 The outfitter/the outfitter representative provides means of communication. The outfitter/the outfitter representative is responsible for all safety issues related with the hunting tour, he handles the first-aid kit. The outfitter/the outfitter representative can also take responsibility of an interpreter and act as one. A camp-worker is responsible for keeping the camp territory and living quarters in order, servicing the electric power station and field bath-house, stocking firewood and providing water supply.A cook is responsible for providing the hunters and staff members with three meals a day (including bagged lunches for hunters). 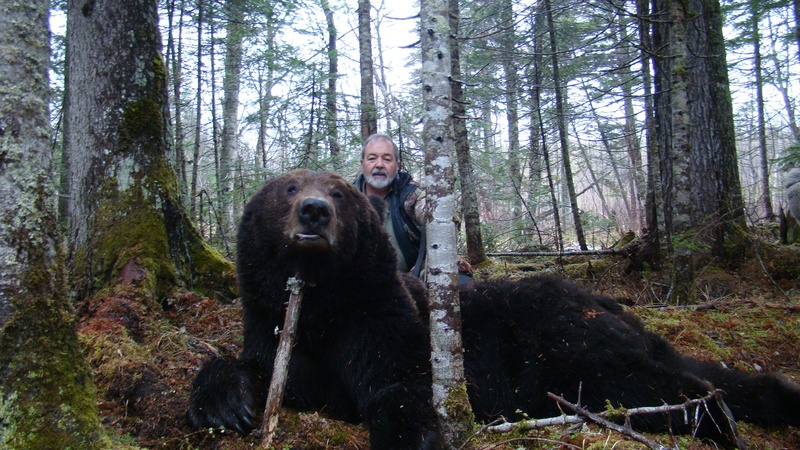 Congratulations Albert on May 9, he got a beautiful trophy bear Amur after a single shot from a Remington 300 win mag. The length of this trophy skins 235 centimeters! Congrats Vyacheslav and Stepan. They got 2 nice trophies Amur bears trophies!